So, a Winellama walks into the new Las Vegas Total Wine and asks whether they carry any wines from California’s Fort Ross-Seaview AVA. “Oh no, most definitely not,” she is told. Except they do, because after an hour of browsing, I found one. One bottle – in a store the size of a football field. It’s at that point that I realize the employee has no idea what an AVA is. Sigh. No matter – what a one it is. Gold on the eyes, it has a nose with ripe apricot, fresh Macintosh apple, Meyer Lemon, kernel and rich brioche. With its high acid and juicy palate, it is creamy and deeply layered with flavours of more red apple and peach, honey, spring flower, nuts, French bread and butterscotch. It spent 15 months in oak barrels, and was bottled unfined and unfiltered. 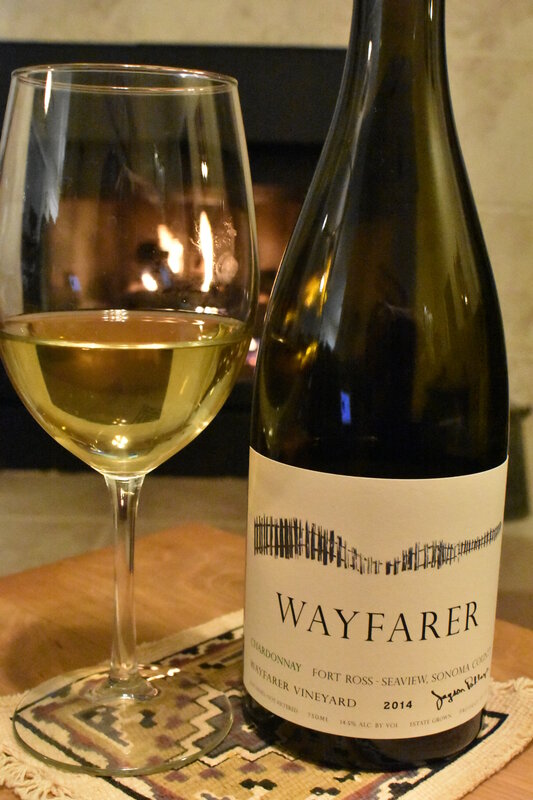 This wine is stunning – WSET Outstanding. Nuanced and light on one hand with the fruit and high acidity and the sparkly minerality, there is at the same time, a contrasting complexity with the creamy body, brioche, nut and butterscotch custard. Opened and enjoyed at 5 years old in Las Vegas on vacation. 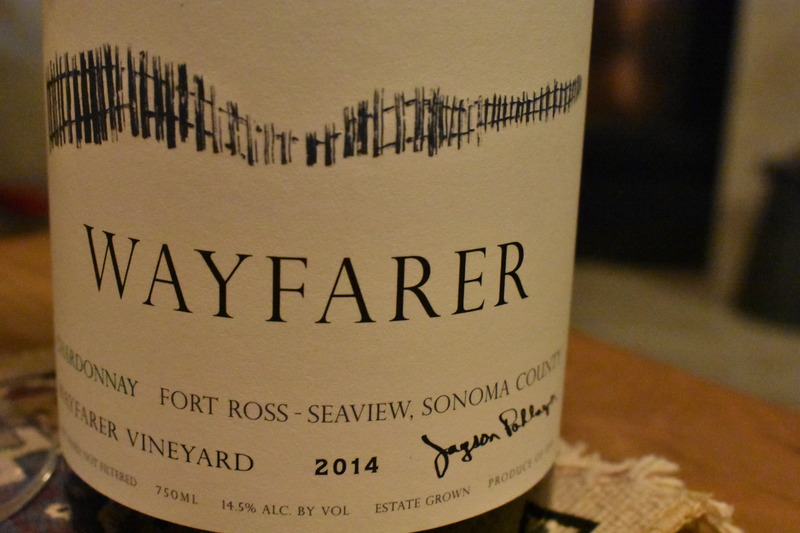 This entry was posted in California, Chardonnay, WHITE and tagged 2014, california, chardonnay, Fort Ross - Seaview AVA, Sonoma County, Wayfarer, Wayfarer Vineyard. Bookmark the permalink. Love your sense of adventure my friend!! Miss you and our tastings, Keith!